Ivory wedding cake with cascading sugar flowers delivered to The Burnside Hotel. 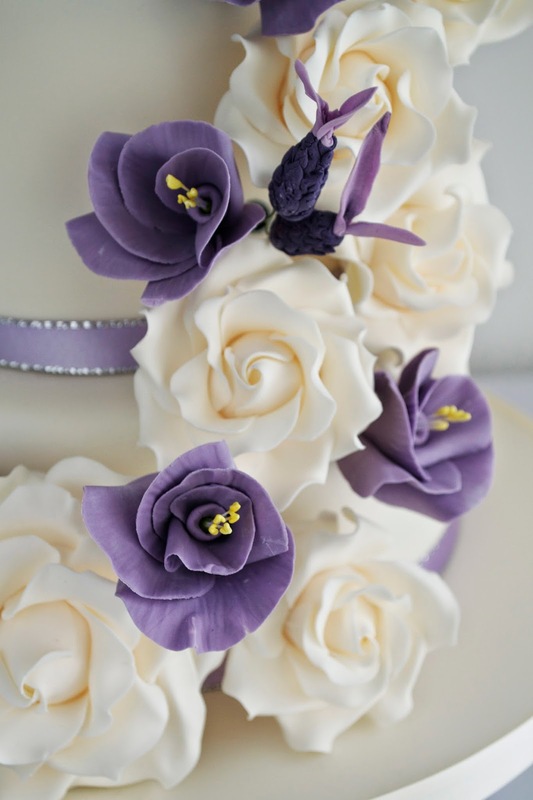 The sugar flowers on this wedding cake include ivory roses, lisianthus piccolo and french butterfly lavender. 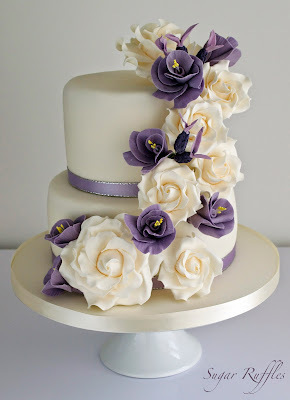 The sugar flowers were created to match the brides bouquet and the lilac ribbon used matches the ribbon used on the couples wedding invitations.-1 tier lemon sponge with zesty lemon syrup, layered with lemon buttercream and lemon curd.-1 tier moist carrot cake with hazlenuts layered with lemon buttercream.